So far these names have been suggested but still to be confirmed. Back row left to right Mr Caine (woodwork teacher nicknamed Tubal), ?, Mr Wilson, Rose Wallace, Mary Anderson, Jean Provan, Isabell Scott, Mr Devlin, Betty Cameron, Tam Elliot. Catrine JS 1954-ish, Mrs Stirling? 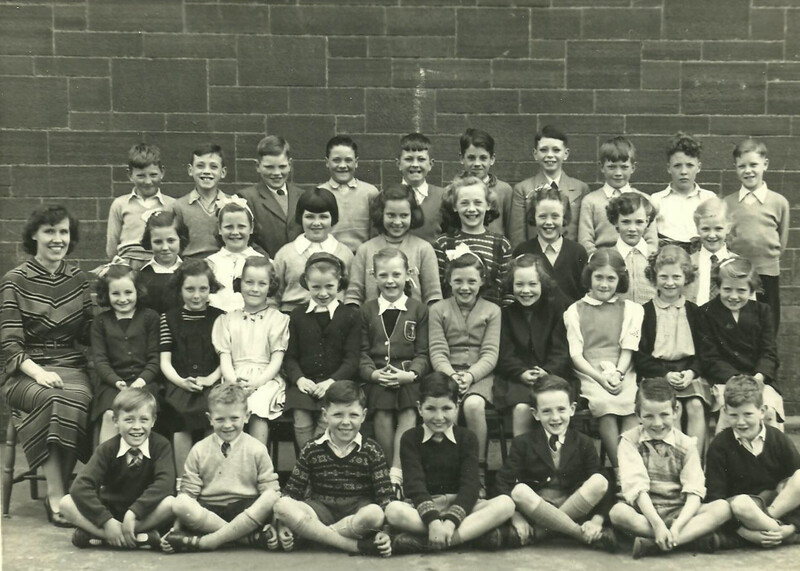 3rd row from back: jean dignam, judith carson, margaret kerr, sheila pullar, eileen kyle, jean johnston, sandra mclelland, brenda irvine, angela gemmell, jean ? 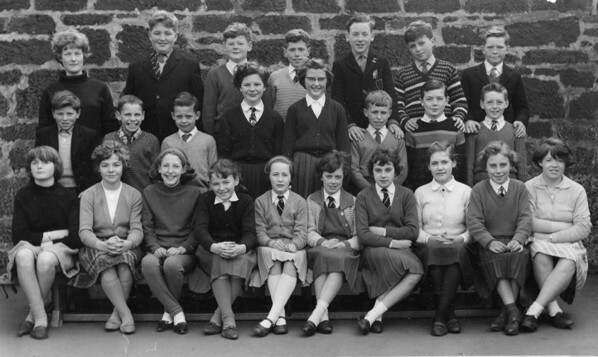 Back row left to right: Mrs. Joyce Gray nee Edgar, Douglas King, Jim McIntyre, Rickie Logan, Michael Turnbull, Rene Leitch, Mathew Wotherspoon. Middle Row:Tommy Kyle, Frank Reynolds, Bernard McDowall, Margaret Herbertson, Madge Templeton, Neil Seymours, Andrew Fowler, Billy Wilson. Front Row:Grace Withers, Linda Watson, Sheena Fowler, Susan Sadler, Nesta Wilson, Margaret Ross, Ena Jackson. Linda Wilson, Joan Hamilton, Margaret McFadgeon. 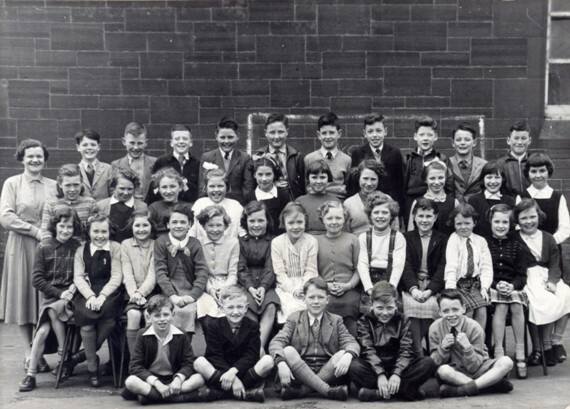 Maizie Neilson'class. Left to right. Top Row: Jim Mcdowall, David Cairns , Harry Gorman, George Caldwell, Jim Buck, Eric Clark, Tom Cowan, Ian Caldwell, Sandy Wilson, Alistair Kerr. 2nd row from back: Maizie Neilson teacher, Marion Welsh, Charlotte Lyle, Evelyn Stobo, Margaret Wilson, Fiona Chisholm, Effie Poole, Betty Weir, Margaret McKie, Sheila Pullar, Wendy McCrae. 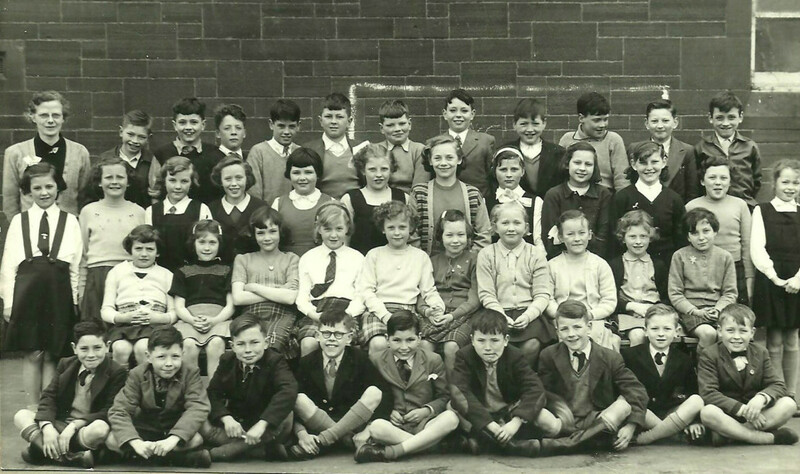 3rd row from back: Margaret Urquhart, Jacqueline Armitage, ? 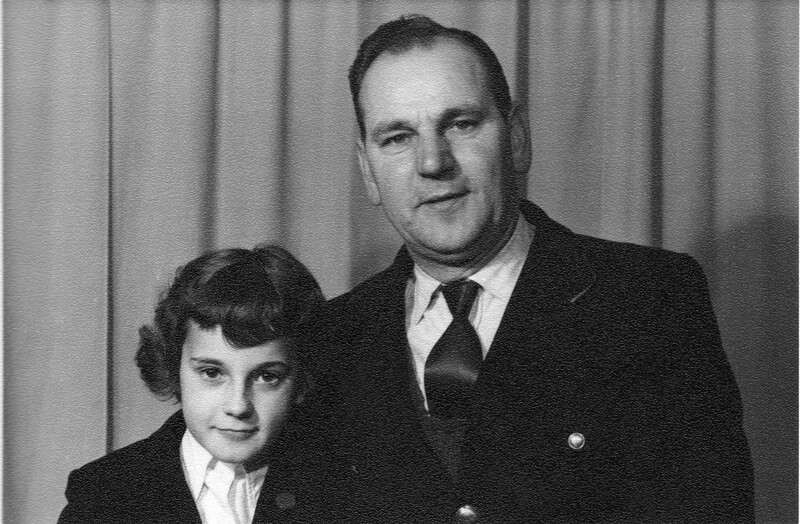 Ann Clark, Myra Sears, Linda McNeil, Florence Kerr, Essie Peden, Mary Little, ? 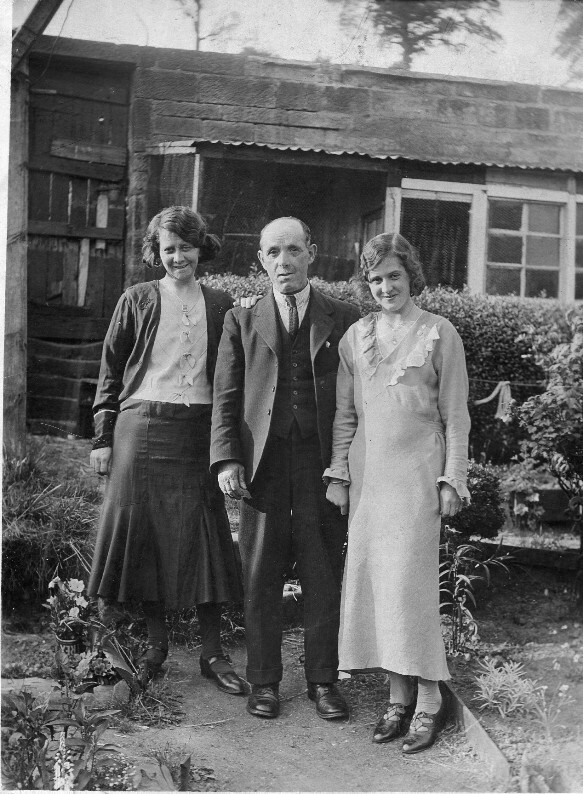 Whyte, Nancy Kyle, Elsie Ferguson, Ina Halliday. Front Row: Toni Cano, Robert McClure, Connel Irvine, Benny Clark, Bill Steele. Left to right Back Row :Jackie Paterson, -Scobie, George Kerr, -Hutchison, Bert Fulton, Harry Rodgers, Willie Clark, Kenneth Roxborough, Sandy Kerr, Bill McDonald, Alan Gardiner. 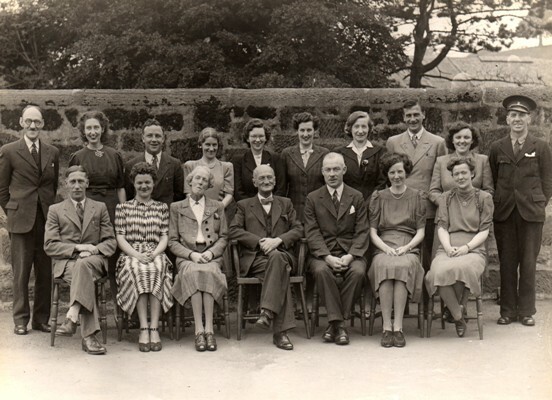 Middle Row: Billy McIlvainy, Jean Millin, ?, Margaret Nelson, ?, Emily Paterson, Patricia Boyle, Anne McIntyre, Jim Ruddy. 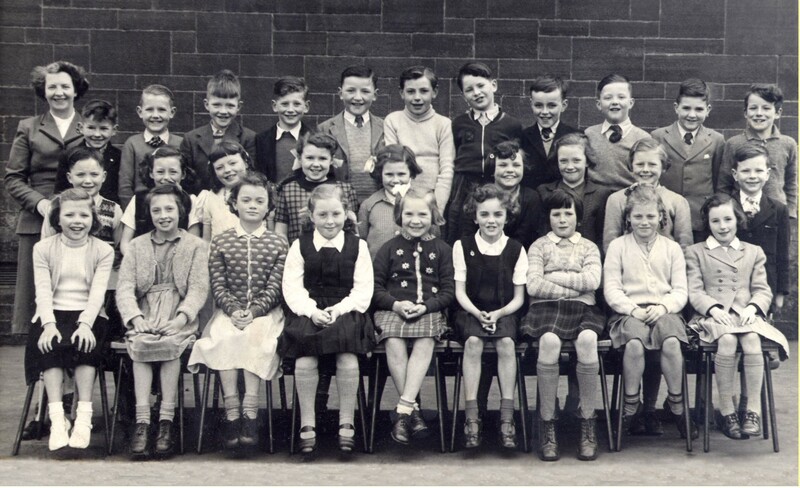 Front Row: BettySears, -Russel, -Clark, Margo Cartner, -Gilmore, Catherine Robb, -Davies, -Duncan, ?.